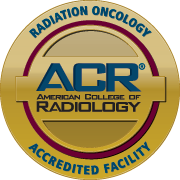 Prostate cancer radiation therapy (RT) has seen significant progress in technological advancements. As a treatment method for early-stage prostate cancer, more-aggressive localized disease, and metastatic prostate tumors, radiotherapy requires more precision and accuracy in order to abate the cancer without causing harmful side effects. While the traditional two-dimensional (2D) radiotherapy technique was limited by tissue toxicity, adoption of the three-dimensional (3D-CRT) approaches have reduced the dose-limiting side effect of proctitis and allowed dose escalation for the entire prostate. Through Intensity Modulated Radiotherapy (IMRT), rectal toxicity has been immensely reduced. IMRT allows dose escalation for the pelvic lymph nodes and other parts of the prostate where resistant sub-populations of tumor clonogens usually limit treatment. With the introduction of androgen deprivation into conventional radiotherapy, there is increased local control and a greater chance of recovery. For instance, initial hormone therapy results in cyto-reduction of the cancer, additive effect on cell kill, and reduction in the volume of radiotherapy. Additionally, the use of long-term adjuvant androgen deprivation improves the survival rates even in more advanced prostate cancer. Prostate brachytherapy is a valuable treatment approach for individuals under low-risk disease. Brachytherapy is effective as a mono-therapy for localized tumor and boosts treatment outcomes after conventional EBRT for advanced localized disease. There are two brachytherapy approaches for prostate cancer cure: low-dose-rate (radioactive seed implantation) guided by ultrasound imaging and CT scans and high-dose-rate brachytherapy (HDR) that allows administration of ultra-high radiation doses through catheters and under the guidance of real-time CT scans. 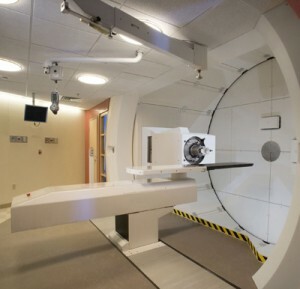 External beam radiation therapy (EBRT) is a potent cure for localized tumors. It allows for the direction of beams of radiations from a linear accelerator placed outside the body to the prostate. Both stereotactic radiosurgery and image-guided RT are forms of external beam RT that can combine with brachytherapy to cure more-aggressive tumors. Furthermore, the addition of image-based technology has enhanced the precision and accuracy of dose delivery. Using images enhances safe treatment by correcting intra-fraction movement and inter-fraction positional variation of the prostate in real-time and allowing for avoidance of normal tissues. For more information on technology and prostate cancer, call or visit Advanced Prostate Cancer Institute.